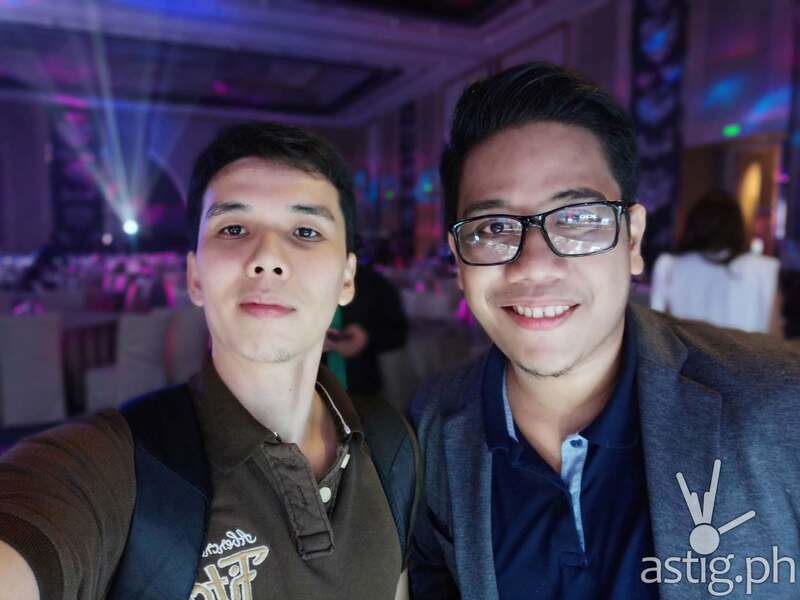 When the OPPO F9 was announced, we were excited. 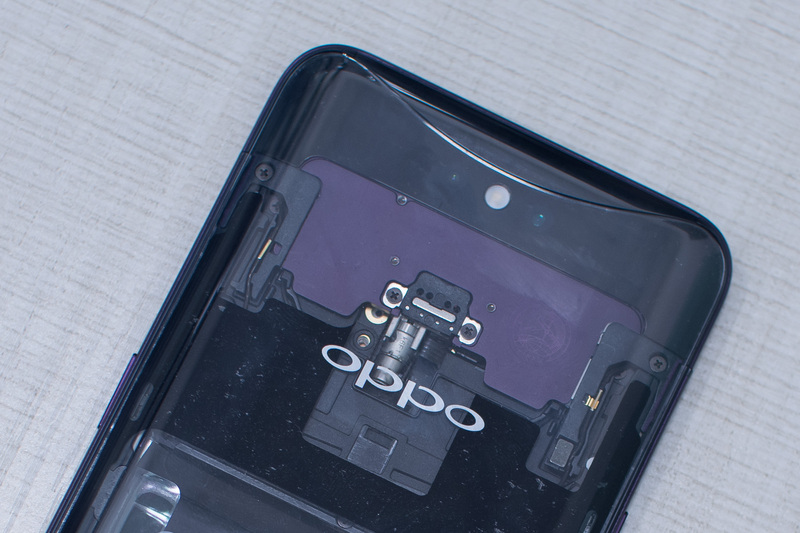 Here was a phone with similar internals as the already impressive OPPO F7 and the OPPO F7 Youth, except it has dual cameras, VOOC Flash Charge, and a smaller notch. We have been using it as our daily driver for the past week for this review, and it made quite an impression – so much that we are dedicating one section on the screen alone. We always strive to be concise and get to the point, but we wanted to make this as detailed as possible for you to better appreciate the technology behind it. 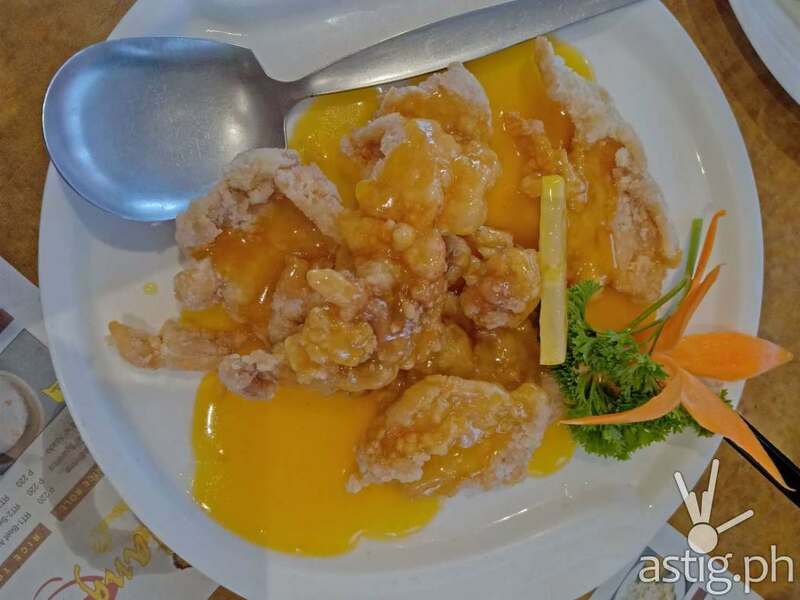 If you just need the essentials, skip to the bottom portion of the review. Otherwise, let’s get to it. 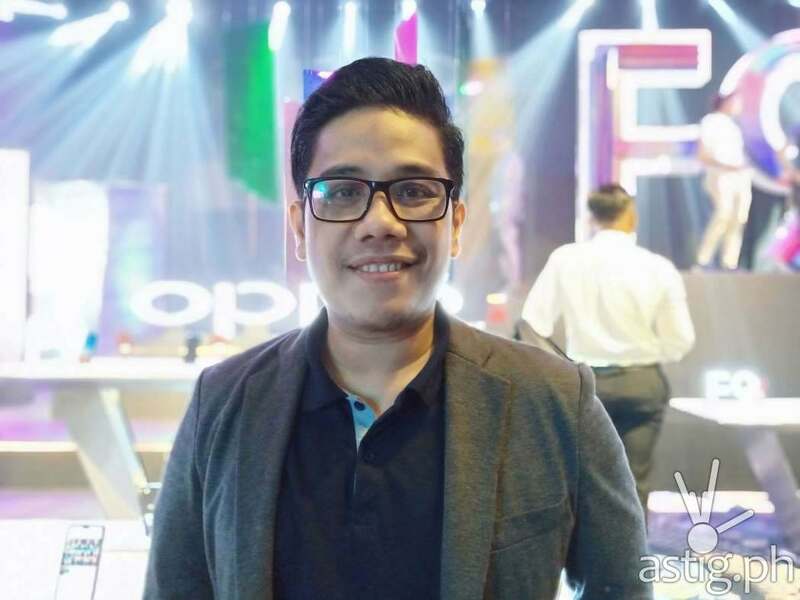 Before we begin, it is worth mentioning that other countries are getting what is referred to as the “OPPO F9 Pro”. There doesn’t seem to be any difference between the Pro and the regular, “non-Pro” version other than the name. In the Philippines, we are getting the OPPO F9, so keep this in mind to avoid confusion: they are one and the same. Consumers want bigger screens, and for most smartphone manufacturers, the only way to achieve this is by making the bezels around it as thin as possible. 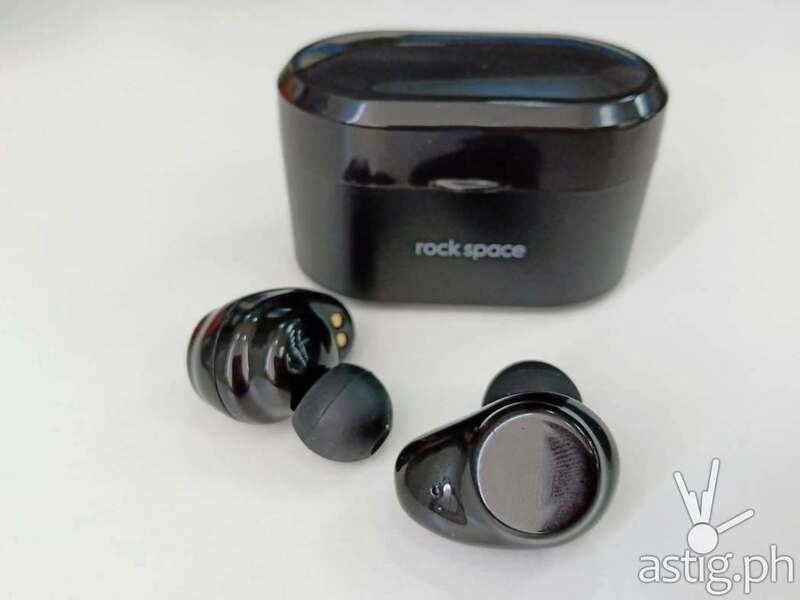 Thing is, you can only shrink it by so much before you hit a wall, and that usually is the space needed for the front-facing components, mainly the ambient light sensor, the earpiece, and the selfie camera. So what do we do? We can use a mechanical module, like the sliding cameras found on the OPPO Find X or the Vivo Nex. We can try to move these components under the screen, but the technology to do that isn’t quite there yet. Until under-display technology becomes more mature, cutting away a small part of it to allow sensors to peek through is a logical middle ground. So we get the notch: part screen, part sensors. Unfortunately this breaks continuity when looking at the screen, which is why the notch can be quite polarizing, for lack of a better word. Some hate it, some are okay with it, but I have yet to meet anyone who would prefer the notch over a truly all-screen phone. 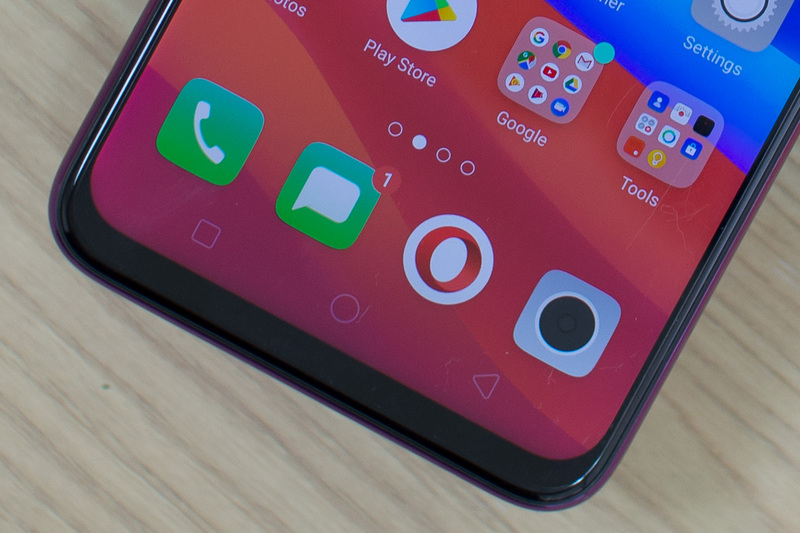 Like it or not, the notch will be around for a while, and the OPPO F9 has it down to a very comfortable size that doesn’t break screen continuity. There is so much focus on the screen simply because it’s what you look at all the time. Like it or not, the notch will be around for a while, and the OPPO F9 has it down to a very comfortable size that doesn’t break screen continuity. It’s not an easy feat to shrink the notch: to do this, engineers need to redesign and re-arrange the front components and fit everything in that tiny space above. On the F9, OPPO engineers moved the earpiece speaker near the top edge of the screen, while the front-facing camera sensor occupies the hollow convex portion that OPPO refers to as the “water drop” notch. 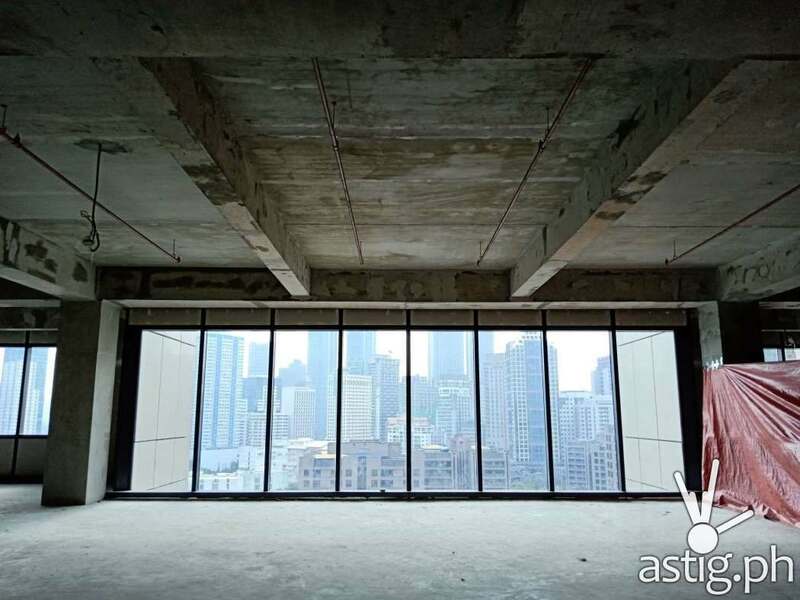 We couldn’t quite figure out where they placed the ambient light sensor, but we’re sure it’s in there, somewhere, possibly peeping behind the camera window. 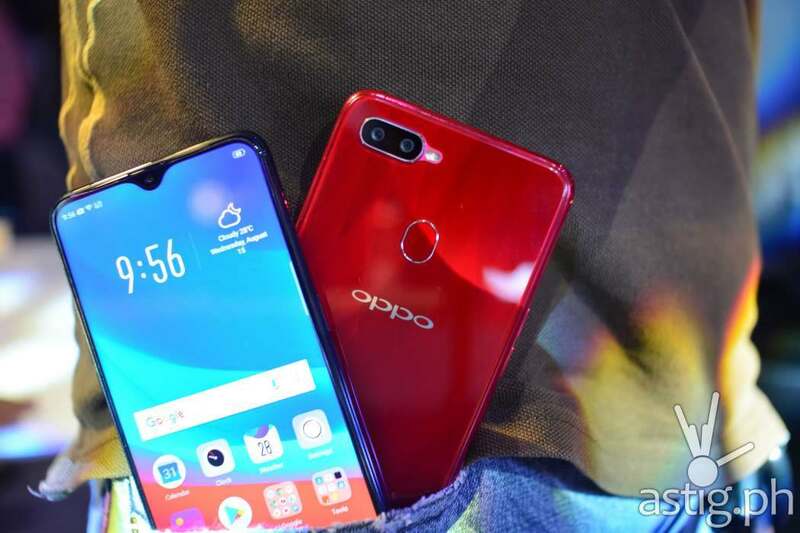 It’s impressive how they were able to fit these components in such a tiny space, and doubly impressive that OPPO managed to bring this product to the market only 3 months after the release of the OPPO F7. The water drop notch is slightly deeper than most notch implementations, but it is barely noticeable. The earpiece is loud and powerful enough that if you turn the volume all the way up, you can feel the screen vibrate during calls. 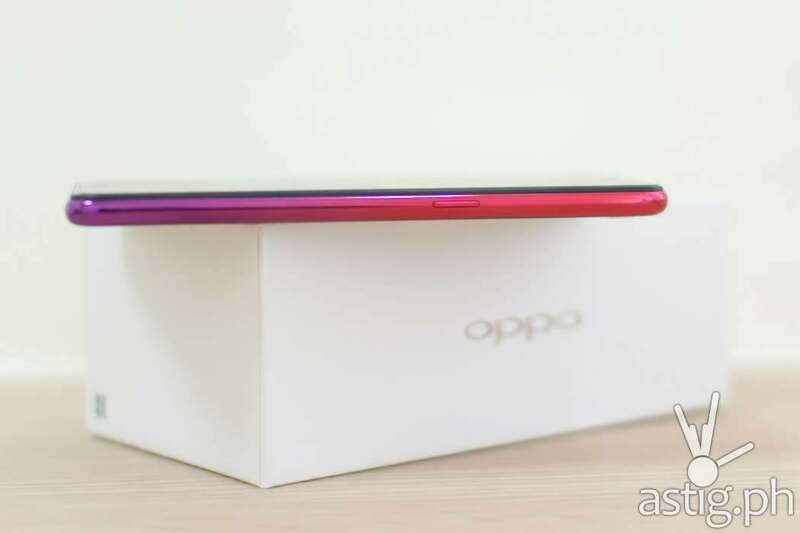 The “chin” or bottom bezel is also much thinner than what we have on the OPPO F7 and OPPO F7 Youth. So in this case, the curved corners of the screen actually make sense, since they simply flow with the physical corners of the phone’s body. Moving on, the 6.3-inch 1080×2340 LTPS IPS LCD is bright enough to be usable under direct sunlight, although the back-light does bleed slightly from the edges if you know where to look. Most people won’t notice it, but I see it all the time and it bothers me from time to time. I hope this manufacturing imperfection gets addressed in future batches. 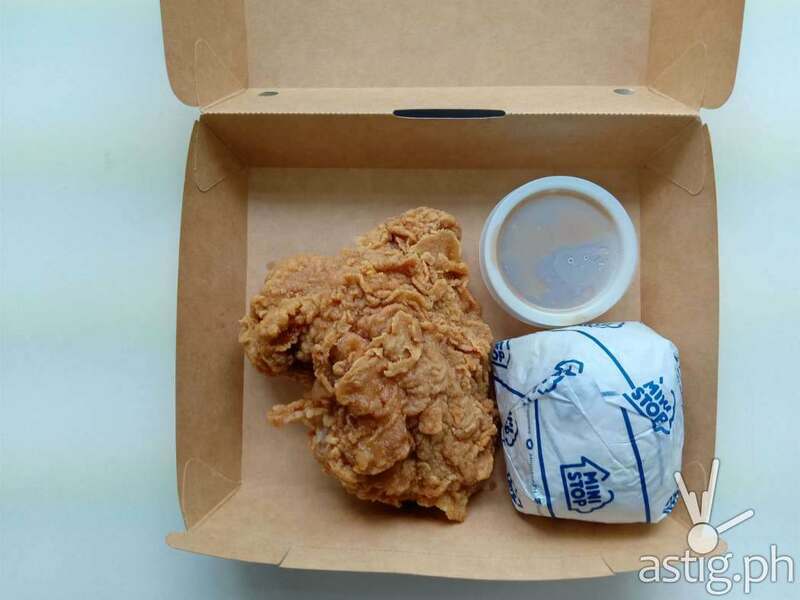 Little things like these are what increase product value and endear a brand to its customers. The screen is double-protected by Gorilla Glass 6 and a screen protector which comes pre-installed out of the box, which, when combined with the free silicone jelly case makes for a nice protective combo. Considering the phone does not have IP68 water and dust proofing, these thoughtful details add up to give new owners more freedom to explore the phone without having to worry too much. It may even help with resale value. Our unit was fresh from the Philippine launch and already suffered hairline scratches on the screen protector. 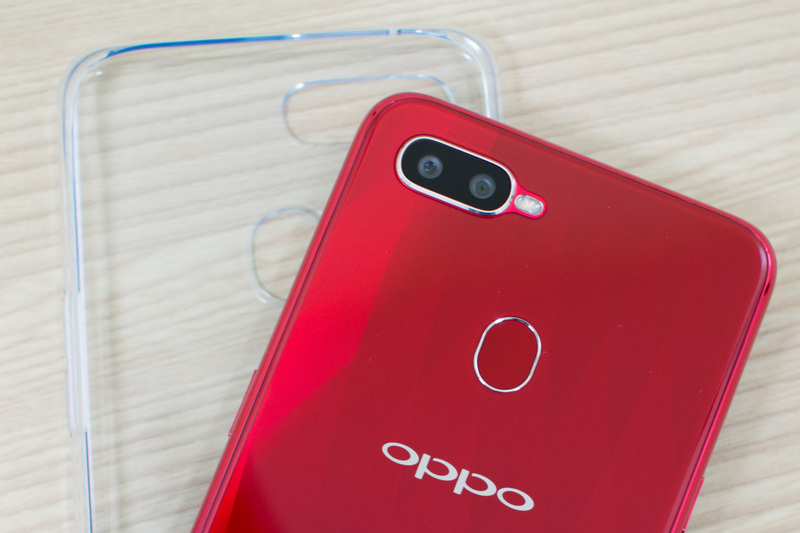 Mid-range smartphones have come a long way, and the OPPO F9 is a prime example of what can be achieved by years of innovation and experience, leading to a mature product. First thing you’ll notice is the glass and metal chassis. It is impossible to miss that eye-catching, beautiful gradient pattern at the back. The colorful pattern flows as it follows the light, as if the phone were alive. It’s mesmerizing. Like, you just … can’t … stop … looking at it. The sides are seamless, and there are no visible antenna lines, giving the illusion that you are holding one solid piece of metal. Or glass. Or crystal. Seriously if you’re not amazed by this, consider the fact that the iPhone X still has visible antenna lines. 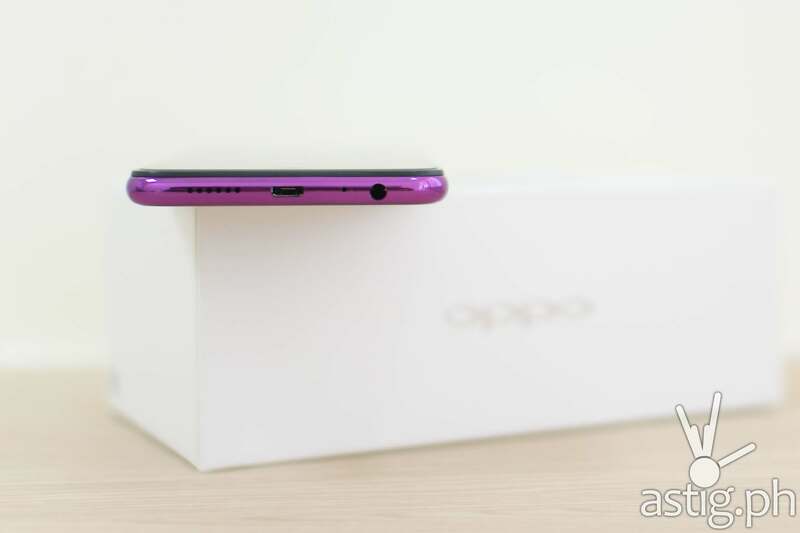 Like its predecessor, the screen protrudes ever so slightly on the OPPO F9, although the edges are now chamfered like it were a 2.5D glass, so it doesn’t cut through your palms when you hold it. There is also a very noticeable camera bump, but they executed this very well, enclosing the dual rear camera sensors inside a chrome plated lining. 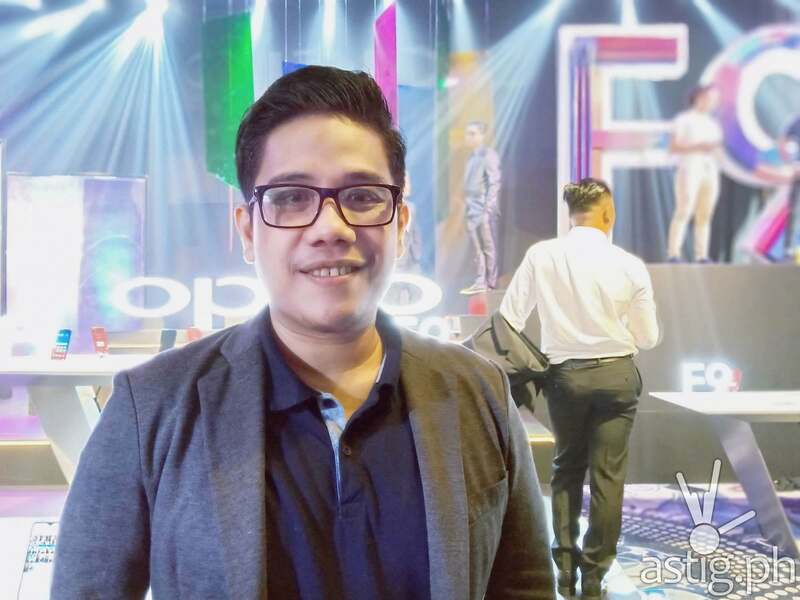 The OPPO F9 has all the essential components that fit the digital Filipino lifestyle: dual SIM support, a dedicated micro SD expansion slot, fingerprint scanner, and a 3.5mm audio jack. It has a micro USB port for charging and data transfer, which is okay. If we were to nitpick, we would rather have a USB type-C port, but we’re getting VOOC so you pretty much need a new set of cables and wall chargers anyway. More on VOOC later. The bottom-firing loudspeaker is one of the loudest that we’ve encountered on a mid-range smartphone with single speakers, hitting 82 decibels on our sound meter. Practically speaking, we normally keep the volume way below max to keep it at a comfortable level. 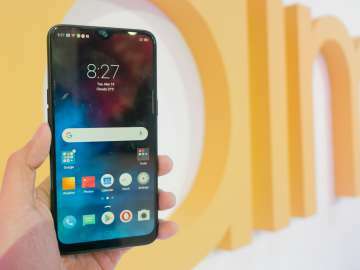 The CPU of the OPPO F9 is virtually identical to the OPPO F7: 2.0 GHz octa-core processor running on a Mediatek Helio P60 SoC, with 6 Gigs of RAM and 64 Gigs of storage. One small change: screen resolution is up from 1080×2280 to 1080×2340. The difference is not big enough to take a huge hit on performance, so it’s pretty much at par with the OPPO F7. Android 8.1 (Oreo) is the default operating system. ColorOS 5.2 provides enhanced user experience via applets like built-in screenshot and screen recorder, and of course, the custom home screen / launcher. Split screen and picture-in-picture mode is available for supported applications, so you can play YouTube videos with Waze running in the background, reply to text messages while playing games, or even run two games side by side. GPS is reliable, accurate, and fast. Most of the time, we were able to get a signal lock in Waze and Google Maps in less than 10 seconds. Fingerprint scanner has always been impressive on OPPO phones, and we were able to unlock the F9 in less than 1 second every time. Face unlock is also good and reliable, unlocking the phone within 2 seconds most of the time. Call prioritization, reception, and sound quality is very good. I was always able to make and receive calls, even in places where signal is weak. Synthetic benchmark results are impressive as expected, consistently exceeding 136k points in Antutu. Single-core CPU score is at 1484 points, while multi-core score goes up to 5665 in Geekbench. For reference, the Snapdragon 835-powered Google Pixel 2 XL has a single-core score of 1853 and a multi-core score of 6180, while the Snapdragon 845-powered OnePlus 6 scores 2423 points in single-core performance and a whopping 8909 points in multi-core performance. 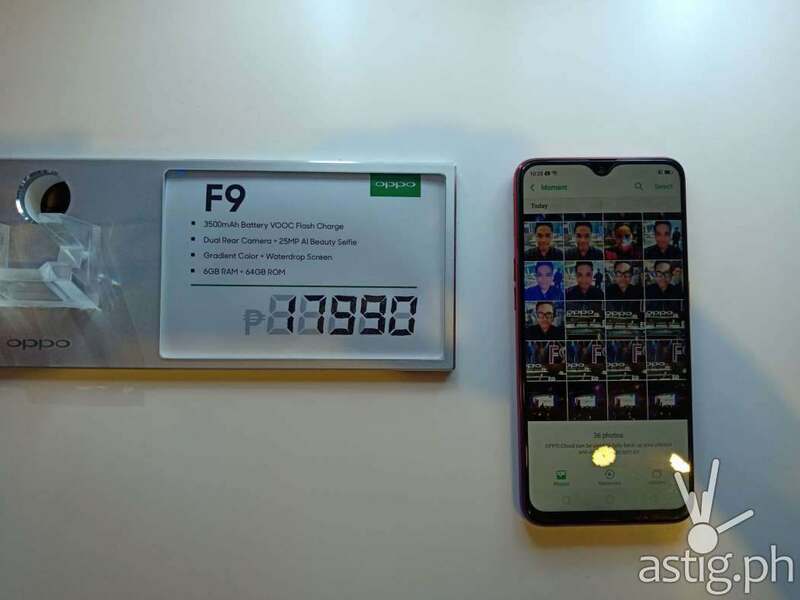 OPPO F9 has a Helio P60 SoC (system on a chip), so it naturally uses the second generation Bifrost-based Mali-G72 MP3 GPU designed by ARM for high performance devices. Mali-G72 happens to be the same GPU architecture used by flagship SoCs such as the Kirin 970, and Exynos 9 9810. You know, the one you find in flagship smartphones such as the Samsung Galaxy S9 and S9 Plus, Samsung Galaxy Note 9, Huawei P20, and the Huawei P20 Pro. Are we saying that this humble mid-ranger can go head to head against flagships when it comes to gaming? Are we saying that this humble mid-ranger can go head to head against flagships when it comes to gaming? One thing is for sure, Helio P60 is god-tier for mid-range gaming. Again, take this (and any review for that matter) with a grain of salt, test it out yourself, then come back and share your experience in the comments section. 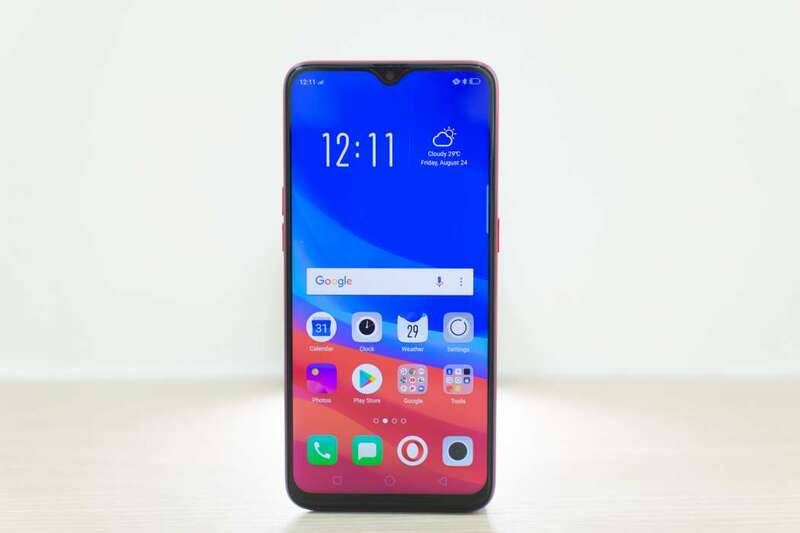 The OPPO F9 handled everything we threw at it smoothly at the highest possible settings: Mobile Legends, Rules of Survival, PUBG, NBA 2K18, Lineage 2 Revolution, Black Desert Mobile, Life is Strange, you name it. It can even run two of those games at the same time, as long as they both support it. Okay, I’m sure some of you are going to say it’s still not smooth enough if you want to play PUBG at HD settings with anti-aliasing turned on, and that is partly true. It may not hit a constant 60 FPS, but I think for most people the performance is good enough, you can always dial-down on graphics for a quick FPS boost. 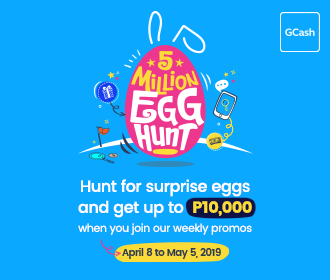 For the more tech-savvy out there, you do a lot of things with a rooted phone that would boost performance even further. Synthetic benchmarks results are not too impressive, getting only 1084 points in 3DMark Sling Shot Extreme (OpenGL), way below flagship phones like the ASUS Zenfone 5Z (4657), OPPO Find X (4623), an Samsung Galaxy Note 9 (4576). 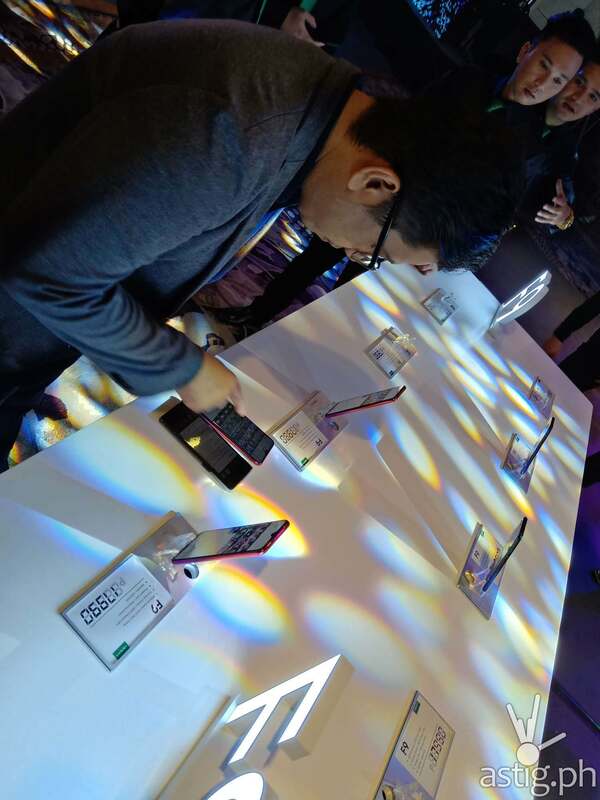 However, like we mentioned earlier, actual hands-on experience doesn’t feel that far behind the flagships. It’s snappy, and you really notice it when moving between menus and loading screens. This could be due to other reasons like fast memory or internal storage, we can’t confirm unless there was a way to monitor CPU, GPU, storage, and network utilization on smartphones like you could on the desktop PC. Again, if you’re an avid mobile gamer and you are thinking of buying this phone, give it a test drive and see for yourself. You may end up surprised. Built-in screen recording is very handy, especially for streamers and content creators, and it looks like they addressed the microphone bug that we raised before, so we were able to do a voice-over with an external mic while doing a screen recording session. 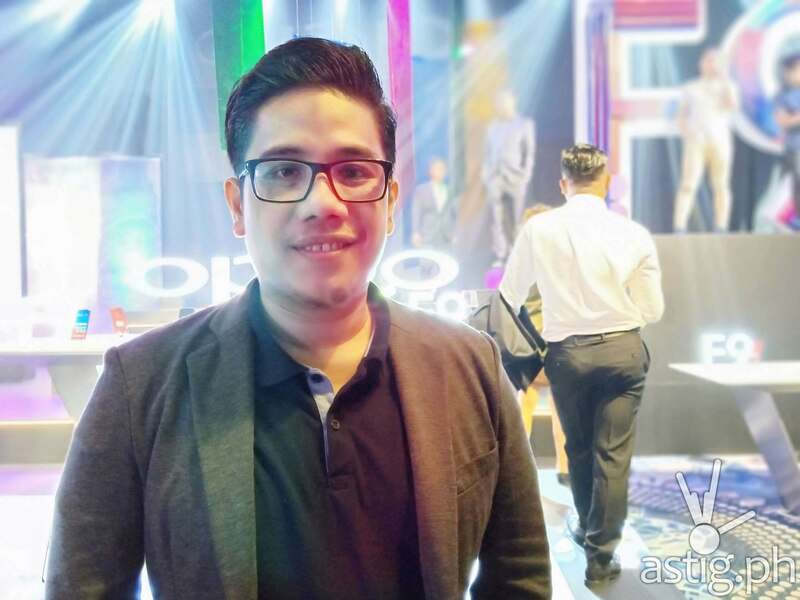 One of the biggest changes in the OPPO F9 is the move to dual cameras. 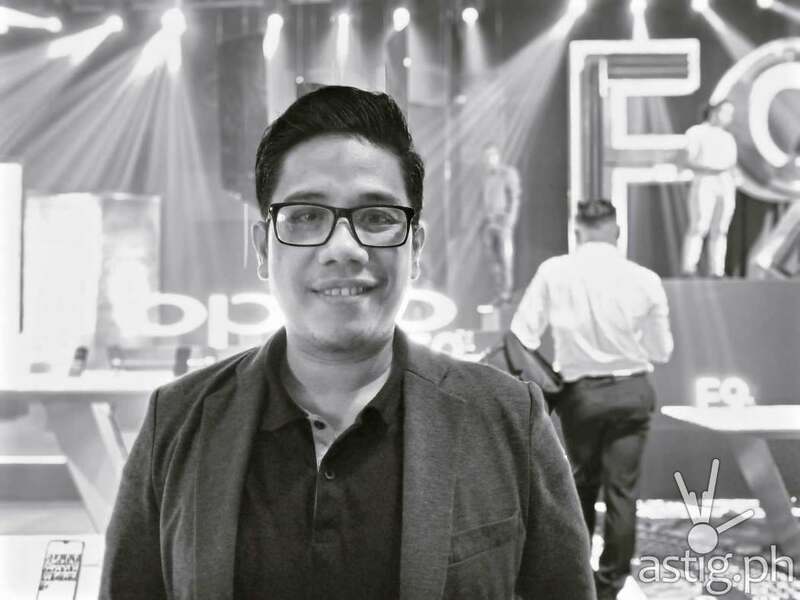 It is the first in the OPPO F-series to get a second sensor, although you can’t actually take photos with it since it functions purely as a depth sensor to create more realistic looking bokeh when shooting in portrait mode (aka depth effect). So that begs the question: how good are the portrait mode shots? 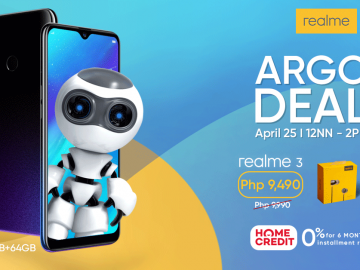 Better than the OPPO F7, for sure! Edge detection is much more refined, able to separate foreground from background in finely detailed areas like the hair, patterns, and foliage. 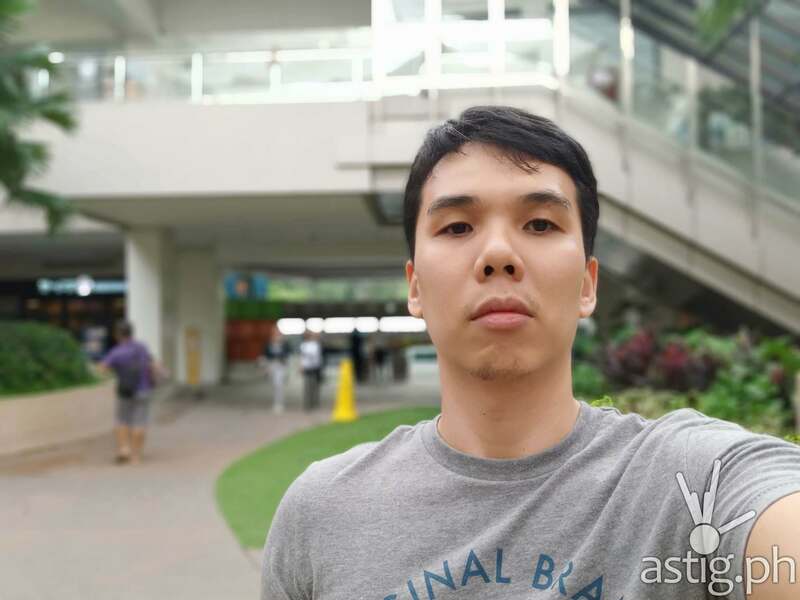 You can test the difference by comparing portrait shots taken with the front and rear camera. Both cameras exhibit artifacts, but it’s more pronounced on the selfie camera. 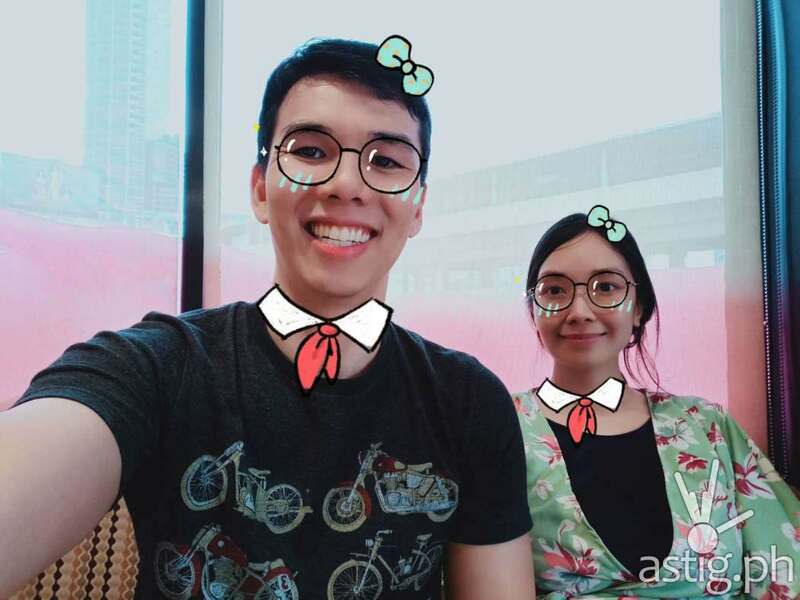 In the above example, the photo to the left was taken with the selfie camera. The foreground and background separation looks terrible around the ears where foliage is present. The photo to the right was taken with the main camera, the depth map still failed in the foliage area near the shoulders, but it doesn’t look as jarring. 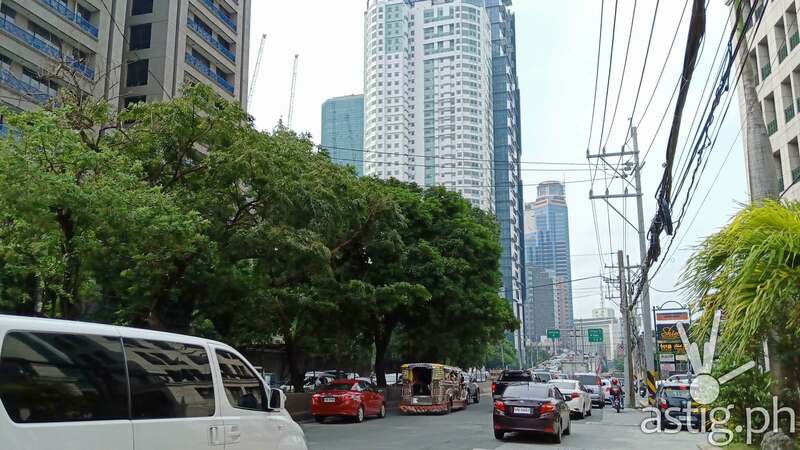 In addition to the default “natural light” portrait mode, the OPPO F9 adds four new effects: film light, monotone light, rim light, and bi-color light. It uses the sensor’s digital image processor so you can preview the result in real time as you click the shutter. The main camera snaps 16-Megapixel photos at a wide-open aperture of f/1.9. This helps in low-light situations, but, like its predecessor, it is crippled by the lack of OIS (optical image stabilization). 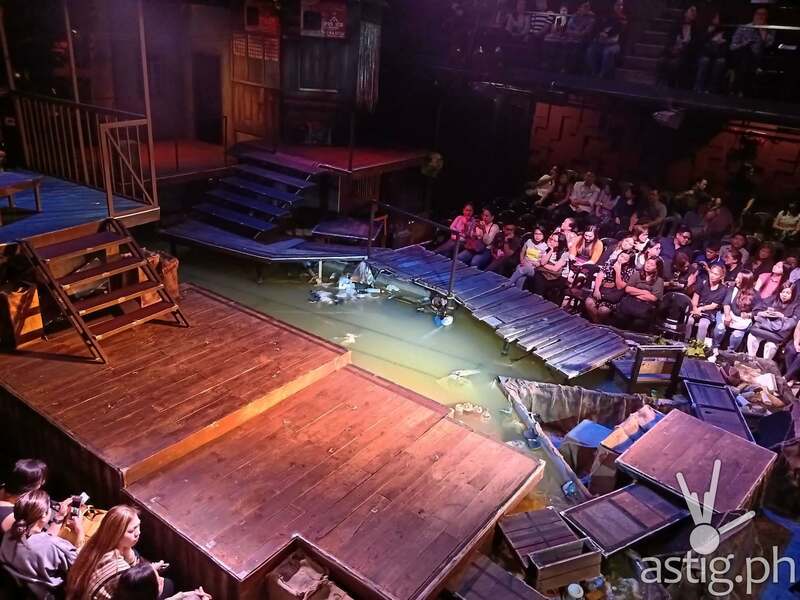 As a result, low-light photos tend to lack sharpness. Noise levels are also quite high, so you need compensate by using a slower shutter speed, which requires that you stay really still – a challenging feat if you are shooting hand-held. 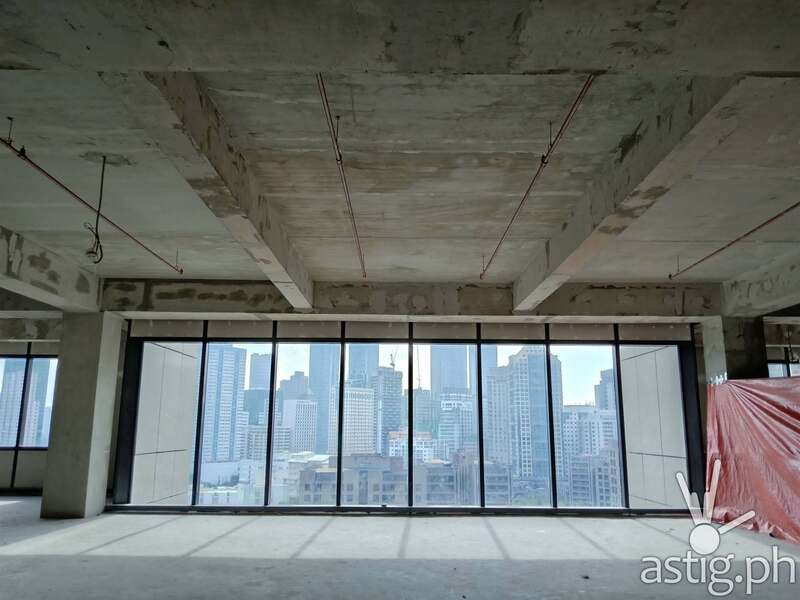 HDR photos tend to be hit-or-miss. It has this over-processed look that works well for landscape photos, but looks unnatural for everything else. It looks good when it works, though. In the above examples, the photo to the left was taken with HDR off, while the photo to the right was taken with HDR on. Notice huge difference in the shadows, which loses all detail in auto mode. The front-facing selfie camera takes decent 25 MP photos and videos. We get a ton of new AR stickers, which is a nice touch. Software emulated depth effect is there, as well as AI beautification mode that auto-magically makes us look years younger by hiding wrinkles, blemishes, and skin pores, though it can look overdone at times. Although megapixel size is high, the quality of the images and videos are nowhere near those taken by the 16 MP rear sensor. We would rather have a lower quality front-facing sensor if it would mean having OIS on the rear-facing camera. Video quality is sharp and stable indoors, thanks to the wide aperture lens and electronic image stabilization (EIS). Support for 4K and 60 FPS (frames per second) recording would have been a killer feature on a mid-range phone. Helio P60 can easily handle both, and it would add so much value to the phone, so we are puzzled by the 1080p 30 FPS cap on videos. Serious content creators like us are probably the only ones who really need it, but still, how hard can it be to put this in if the underlying hardware supports it? On the first day that we got the phone, we were able to get 22 hours off the OPPO F9 on a full charge with the built-in power management software, Smart Power Saver, turned on. Yep, that’s right: 22 hours, only 2 hours short of one full day. This includes about 8 hours of standby with WiFi on, 4 hours of driving around using Waze with GPS and mobile data on, and 12 hours of office and home use. We tried this again a week later with Smart Power Saver off and got the same results. This matches the statistics that we harvested from AccuBattery, which pegs it at 11 hours, 46 minutes for combined use. For reference, we squeezed 9 hours out of the OPPO F7 and 12 hours from the OPPO F7 Youth. 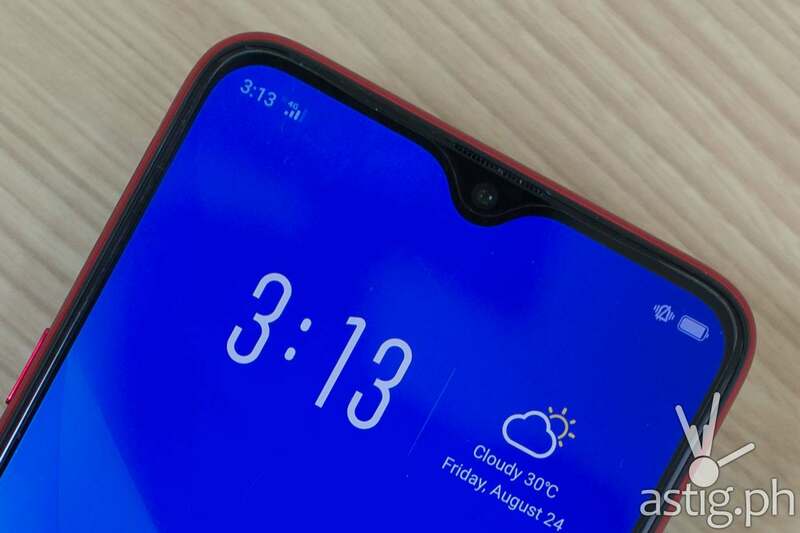 It is interesting to note that AccuBattery estimates the screen on time of the OPPO F9 to be as much as 9 hours, 14 minutes. Again, this may vary from person to person, and our results come from data collected from 7 days of mixed use as our daily driver. Again, always keep in mind that battery life is very dependent on how you use your phone, so your mileage may vary. 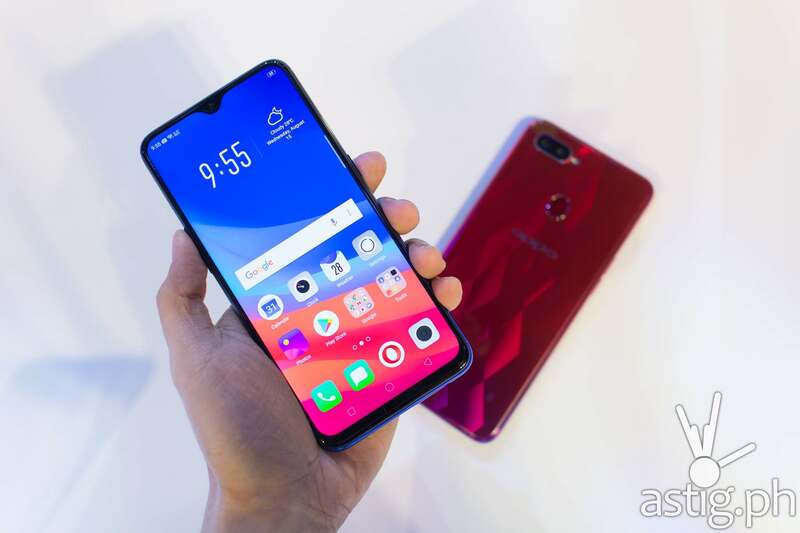 The bottomline is this: OPPO F9 has a very good battery management system, and Mediatek Helio P60 is a very battery efficient SoC. Not that you’ll run into battery problems, as long as you plug in at least once or twice a day. 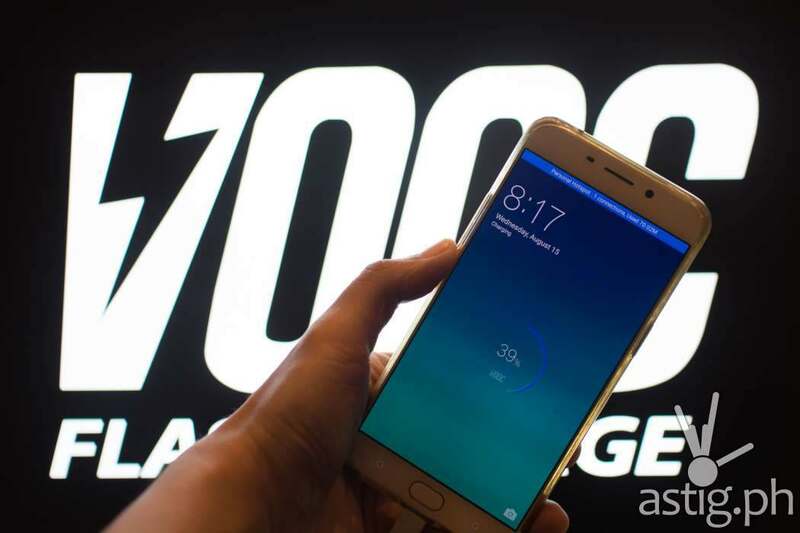 Thanks to VOOC, the OPPO F9 will almost always be full within an hour of plugging in. The other benefit of VOOC is that it doesn’t raise the phone’s temperature by a lot while charging. 9to5google did a test, pitting the VOOC-enabled OPPO F1 Plus against Quick Charge and Fast Charging phones such as the Galaxy S7 Edge and Huawei P9, and found that VOOC resulted in a much higher gain with the last amount of temperature change. What can we say, VOOC is an amazing piece of tech that was engineered using at least 100 design patents. Speaking of which, OPPO holds over 29,000 patents, and 500 of them are on the OPPO F9. 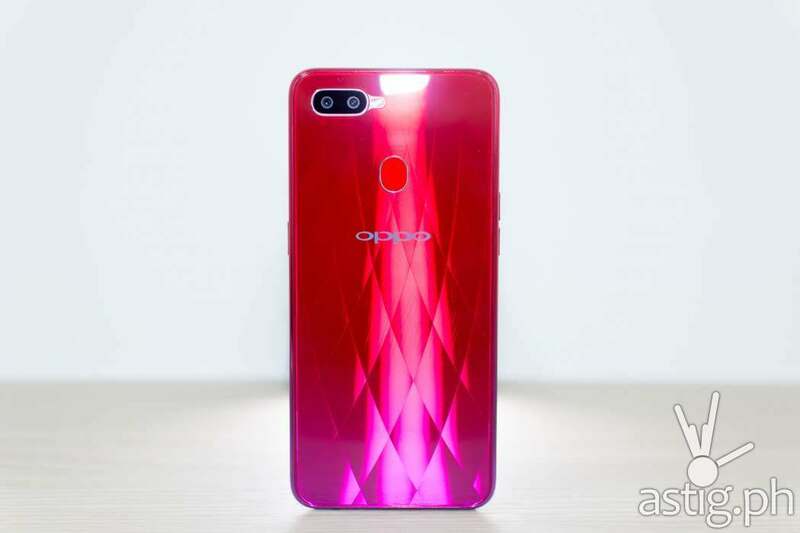 It is one of the best features of the OPPO F9, and, like we mentioned in our OPPO F7 review, it really should have been there from the beginning. Frankly, it should be in every single OPPO phone, period. 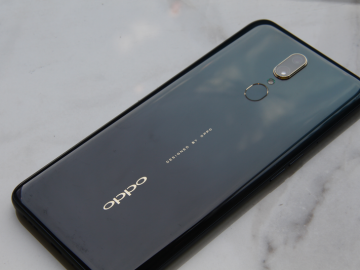 2018 is shaping up to be a very strong year for OPPO and the F9 is the company’s most tightly-engineered mid-ranger so far. It is a very lean device, providing all the key essentials such as good battery life, reliable performance, and an above average camera. 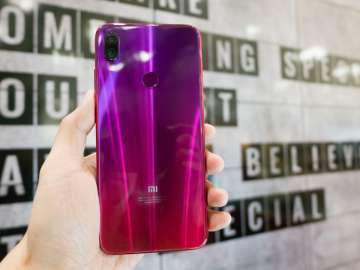 At the same time, it fills the gap for most people looking for a flagship by having fast charging, dual SIM support with a dedicated micro SD slot, ample loudspeakers,a sizable memory and storage, fingerprint scanner, and face unlock. 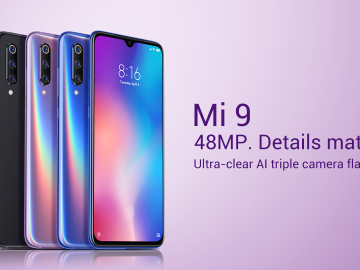 All this in a tight, beautiful package with what is undoubtedly one of the biggest and brightest screens in the mid-range market today. What blew our mind is OPPO offering the F9 at the same retail price as the 4-month old OPPO F7, which was priced at 17,990 pesos when it launched in April, and that’s for the 4 GB/64 GB version. It’s fast, it’s stylish, and it’s affordable. That’s the holy trinity right there! What else can you ask for? 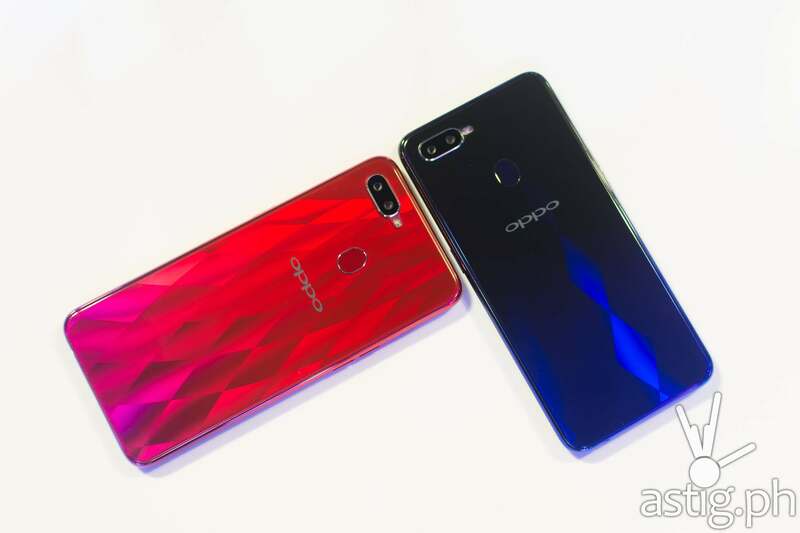 Before it was launched, we were quite confident that OPPO would not dare compete against its own product, but we were so wrong. 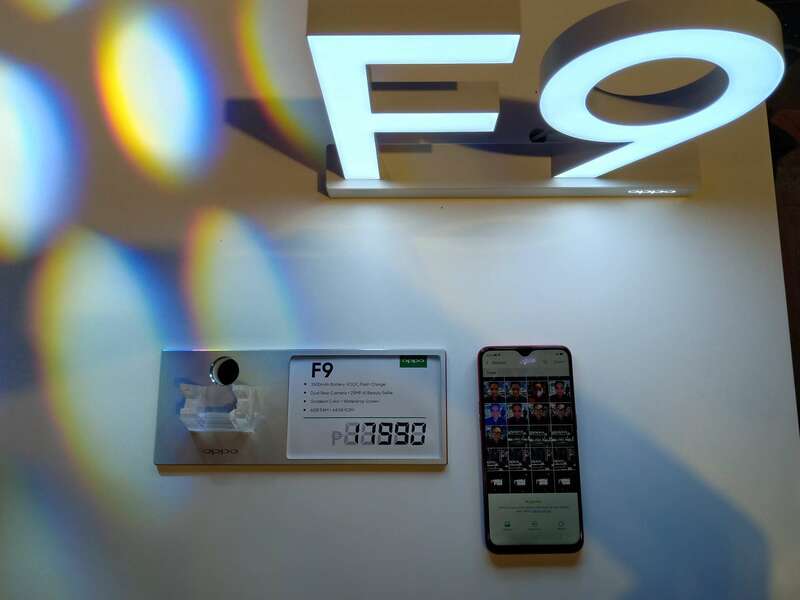 There is so much value in the OPPO F9 that it reminds us of ambitious projects like the the original OnePlus One, the Essential PH-1, and an upcoming Xiaomi project, the Pocophone F1. 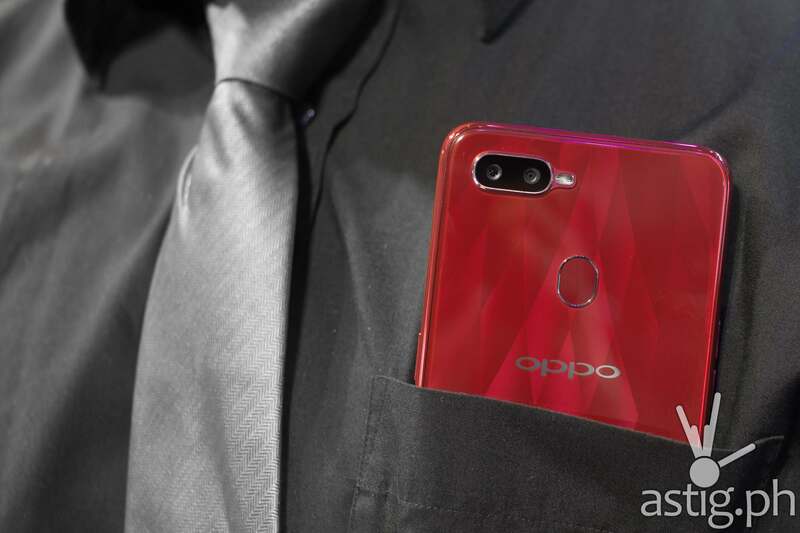 … the OPPO F9 is what a mid-range smartphone in 2018 should be. Except for a few minor nuances, the OPPO F9 is what a mid-range smartphone in 2018 should be. 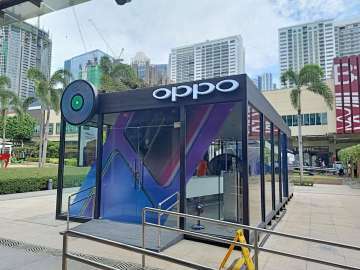 If this is any indication of the lengths to which OPPO is willing to go to corner the mid-range market, we would not be surprised to see them at the top of the sales charts by the end of the year. A price tag that’s easy on the wallet! VOOC is nice, but why are we still using Micro USB in 2018?